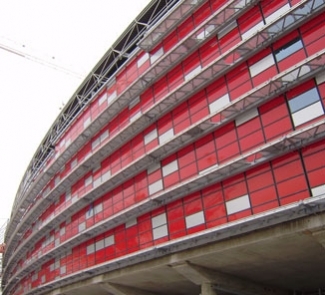 Smulders was responsible for the design, delivery and installation of steel constructions for the facade and for the design, delivery and coordination during fabrication and installation of the steel structures of the bullnose for the Ferrari theme park. Ferrari World is a theme park dedicated to the famous Italian brand. 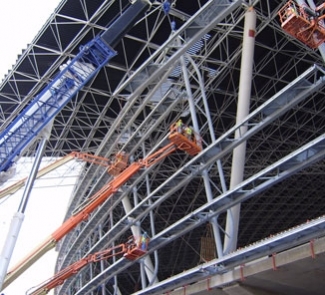 It includes 86,000 m² in the middle of Yas Island in Abu Dhabi. The park also has a museum and several racing tracks. 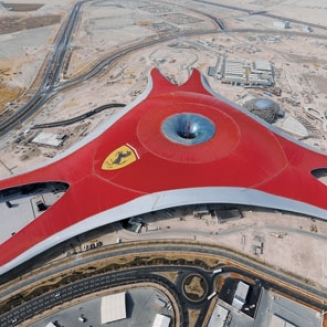 Ferrari World has a 45 meter long, shiny red, triangular roof and an area of 50 acres, which represents the well-known profile of the Ferrari GT.